Cinnamon is a spice from the dried aromatic bark of the cinnamon tree. It is used as a spice for all sorts of cookery and is lately added to some bodybuilding supplements. It has been observed in the literature that Cinnamon extract (Cinnulin™) potentiates an insulin effect and successive insulin signaling through the up-regulation of glucose transport. So, combining creatine monohydrate with Cinnamon extract (Cinnulin™) may increase muscle creatine uptake by stimulating skeletal muscle-mediated glucose uptake. 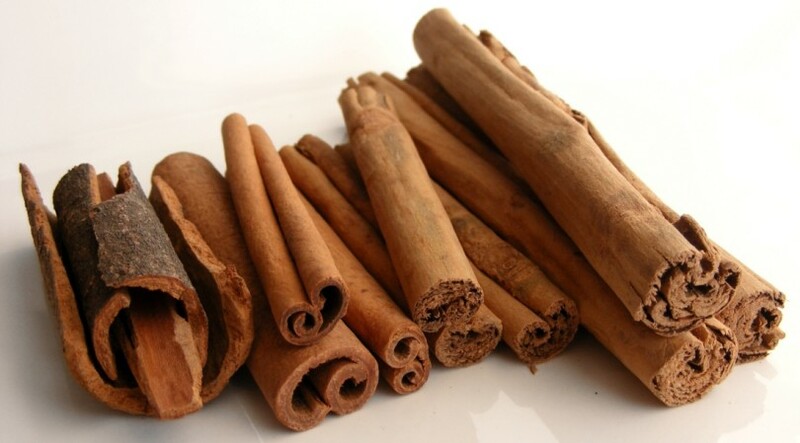 A study in rats suggested that the cinnamon extract would improve insulin action via increasing glucose uptake, at least in part through enhancing the insulin-signaling pathway in skeletal muscle. Cinnulin appears to act like insulin, which may up-regulate insulin signaling. A research done by Ryan D. Schoch  examined the effects of seven-week Cinnulin and Creatine monohydrate supplementation. Muscle strength and mass, body composition, muscle creatine uptake, serum insulin and IGF-1 were measured. Subjects were administered 20 g of Creatine monohydrate and Cinnamon extract (as Cinnulin) during the loading phase, and 5 g of creatine and 250 mg of Cinnulin per day during the maintenance phase. It has been concluded that Cinnulin combined with creatine monohydrate is no more effective than creatine monohydrate alone in increasing muscle creatine concentration. However, total body lean tissue mass was close to being statistically greater in the Cinnulin group when compared to creatine only. Cinnulin may also improve body composition by potentially providing a thermogenic effect, possibly as a result of elevated metabolic rate. One stick of true cinnamon equals 1/2 teaspoon ground cinnamon which is 1/8th teaspoon cinnamon extract. Lately, companies are combining creatine with all kinds of nutrients such as cinnamon extract with claims that it will increase its uptake. These claims are not supported by science. Schoch, Ryan D. The effects of a creatine supplement formulation containing cinnamon extract on creatine uptake, creatine transporter expression, insulin signaling, and muscle performance in males. Diss. 2007. Qin, Bolin, et al. “Cinnamon extract (traditional herb) potentiates in vivo insulin-regulated glucose utilization via enhancing insulin signaling in rats.” Diabetes research and clinical practice 62.3 (2003): 139-148. Ziegenfuss, Tim N., et al. “Effects of a water-soluble cinnamon extract on body composition and features of the metabolic syndrome in pre-diabetic men and women.” J Int Soc Sports Nutr 3.2 (2006): 45-53.
http://wiki.answers.com/Q/What_is_the_equivalent_substitution_of_cinnamon_extract_for_cinnamon_sticks Retrieved 10. Feb 2013.